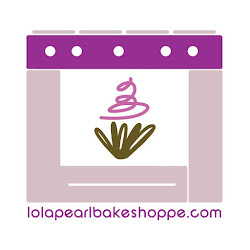 Lola Pearl Bake Shoppe: Lola Pearl bakes German Chocolate Cake! Lola Pearl bakes German Chocolate Cake! This 6" layer cake was perfect for our birthday celebration over the weekend. The frosting on this cake is absolutely divine: caramel, coconut and walnuts. YUM! DIY: Easy and delicious lemon bar recipe!